I think all these places indicating “space is available” should be more specific. 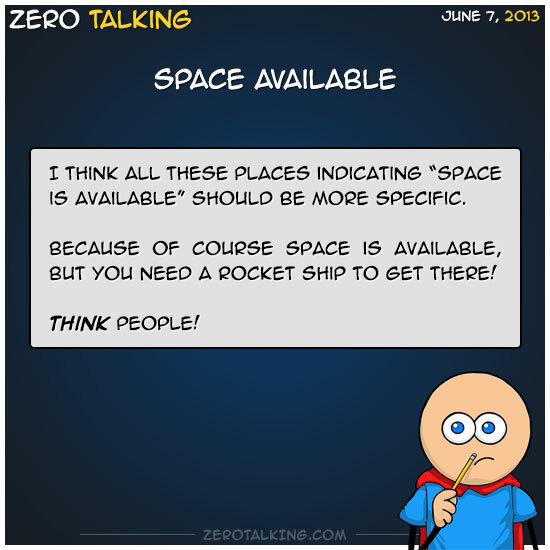 Because of course space is available, but you need a rocket ship to get there! What there is the most of, of anything, everywhere.